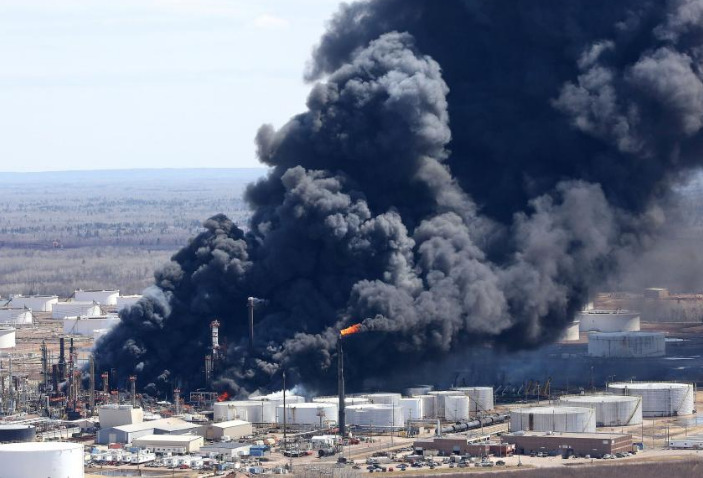 The U.S. Chemical Safety Board (CSB) recently released a Factual Investigative Update regarding their investigation of the April 26, 2018 explosion and fire at Husky Energy's 50,000 bpd Superior Refinery. The incident occurred in the refinery’s Fluid Catalytic Cracking Unit (FCCU). As a result of the explosion, thirty-six people sought medical attention, including eleven refinery and contract workers who suffered OSHA recordable injuries. In addition, a portion of Superior, Wisconsin was evacuated. According to the CSB, evidence collected to date suggests strong similarities with a previous investigation of the February 18, 2015 explosion at a refinery in Torrance, CA. Both the Superior and Torrance explosions resulted from the inadvertent mixing of hydrocarbons with air inside the unit that found an ignition source, resulting in an explosion. In the Torrance explosion, hydrocarbons flowed backward into the air side of the FCCU. In the Superior explosion, air flowed forward into the hydrocarbon side of the FCCU. In both cases, explosion debris impacted equipment in surrounding units and caused subsequent fires and releases to the atmosphere. Prior to both incidents, the process hazard analyses identified scenarios in which hydrocarbons flowed into the air side of the FCCU and vice versa due to a failure of the Spent Catalyst Slide Valve (SCSV), but the safeguards listed to protect against those scenarios were ineffective. In Torrance, the ESP was protected from a flammable atmosphere igniting inside the ESP by carbon monoxide monitors that were blind to the hydrocarbons that eventually fueled the explosion. The Superior Refining Company considered a scenario initiated by the SCSV failing open and listed a separate control system as a safeguard. Because the SCSV was closed, but had an erosion hole in the orifice port, the separate control system was ineffective at stopping the air migration into the hydrocarbon side of the FCCU which caused the explosion. Both incidents involved the company relying on a SCSV to maintain a barrier between the hydrocarbon and air sides of the FCCU during non-routine operation. The CSB has determined that the FCCU SCSV used at the Superior refinery was “designed for complete shut-off of flow” and that even though it was subject to erosion from the FCCU catalyst, it was intended to be “provided with erosion protection suitable for the design life at the design conditions.” Despite this, the FCCU SCSV was unable to maintain a catalyst level to prevent air from mixing with hydrocarbons in the FCCU during the shut-down. In its investigation of the Torrance incident, the CSB inspected the internal components of the SCSV. The inspection found the valve internals eroded to the point that the valve could not seal. An area of approximately 16 square inches eroded away during six years of operation, providing an open path for catalyst to flow through the valve even when in the fully closed position. The erosion prevented the closed SCSV from developing the necessary catalyst barrier on the day of the incident. The full investigative update can be found HERE.